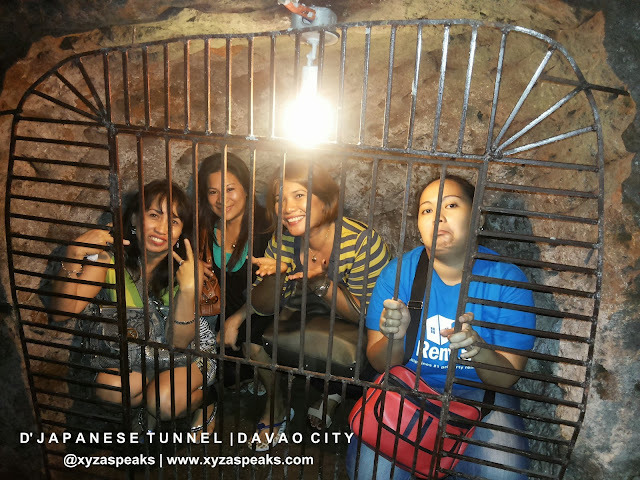 It’s Sunday and after we attended a Sunday mass we opted for a tour around Davao City for a break after a successful real estate seminar at Linmarr Hotel & Apartelles yesterday. 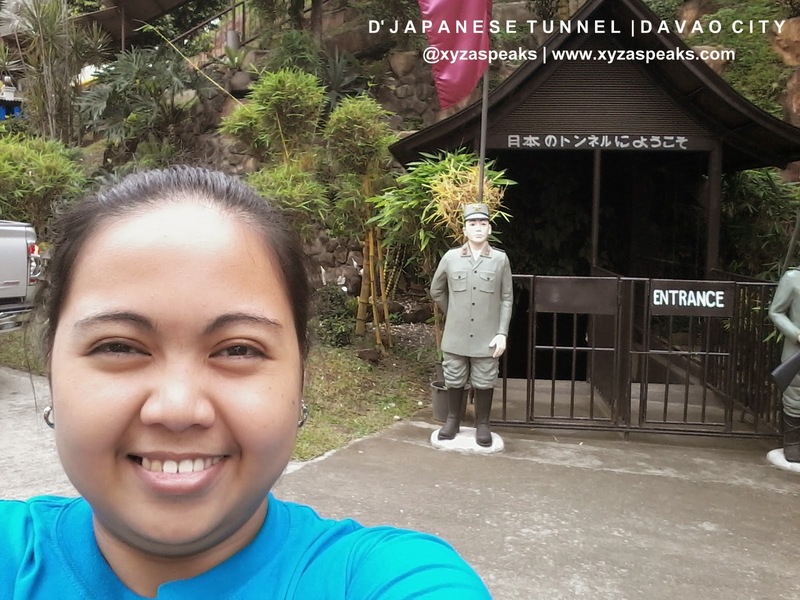 We went to a monastery to deliver tithes and donations, drove somewhere for another one and then we stopped here at D’ Japanese Tunnel for a quick historical tour. We don’t really have a tour guide with us and Sir Arnold, one of the VP’s served as our tour guide since he has been living here for quiet sometime with his family. It is not my first time in Davao City, but it’s my first time here at the D’ Japanese Tunnel. The place is already managed and owned by a private individual and turned it to a family resort and restaurant, where it now has accommodations for guests and transients, a pool for wet picnic and a guided tour inside the tunnel. According to our tour guide, it used to be a very long tunnel that connects to the Abreeza mall and to some parts of Luzon, but it’s already cut short now because some parts where already excavated or have collapsed due to land developments. It’s a tunnel built by the Japanese during their occupancy here in the Philippines. 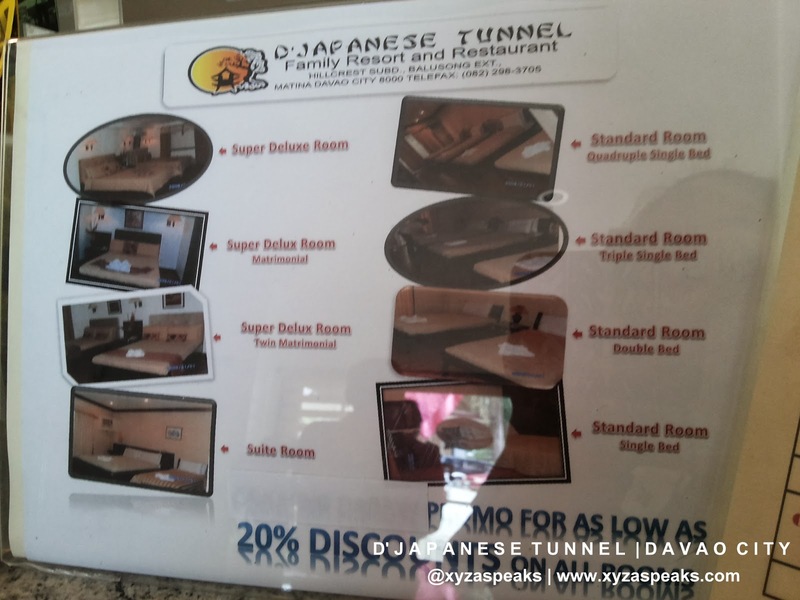 (To learn more about Japanese Occupancy in the Philippines click here). 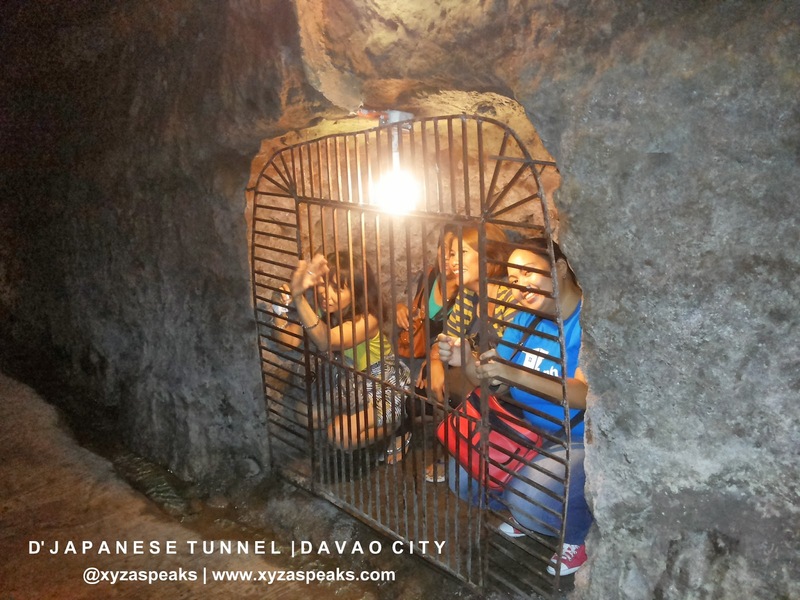 The place was said to be discovered during the martial law. The excavation and exploration was said to be successful where they have found golden Buddha and a lot of gold bars which was kept secret from the public. And how the tour guide knows about it? I totally have no idea. So if ever it is true, wow ang yaman nga naman ng mga Marcos noh? So let me show you what to expect in this tour. 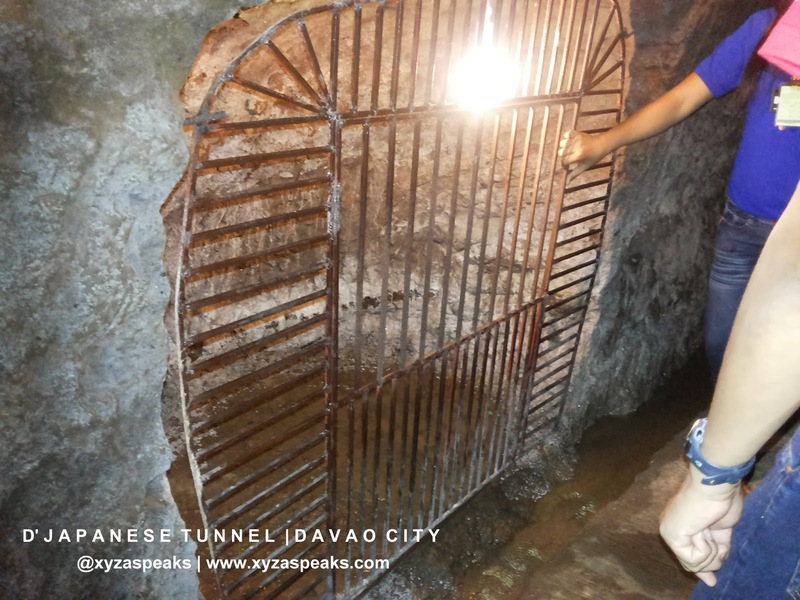 After paying your entrance fee, a well versed tour guide will be guiding you inside the tunnel. 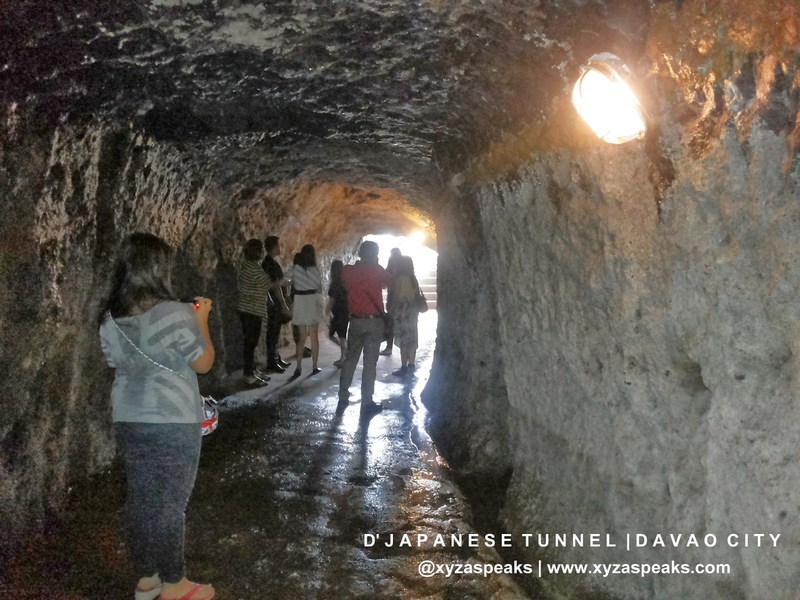 The tunnel is about 4 to 5 feet high only and around 150 meters long (now), because that’s the usual height of the Japanese during the old days. So if you are taller than 5 feet, watch your head, you’ll most likely be bending the whole time. But don’t worry there are portions of the tunnel that has higher ceilings. Expect droplets of water inside. It’s the nature of the limestone. 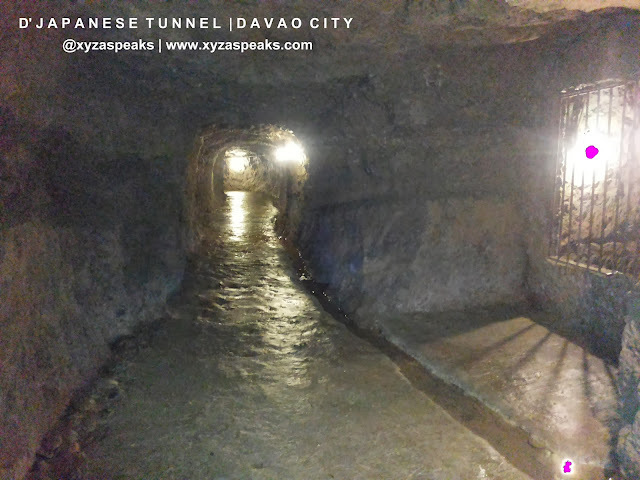 The tunnel is a long stretch made of limestone,and it’s watery. 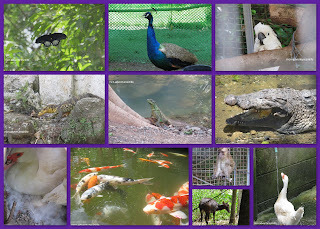 Some people thought that it could be drippings from the swimming pool, but no it’s just nature. 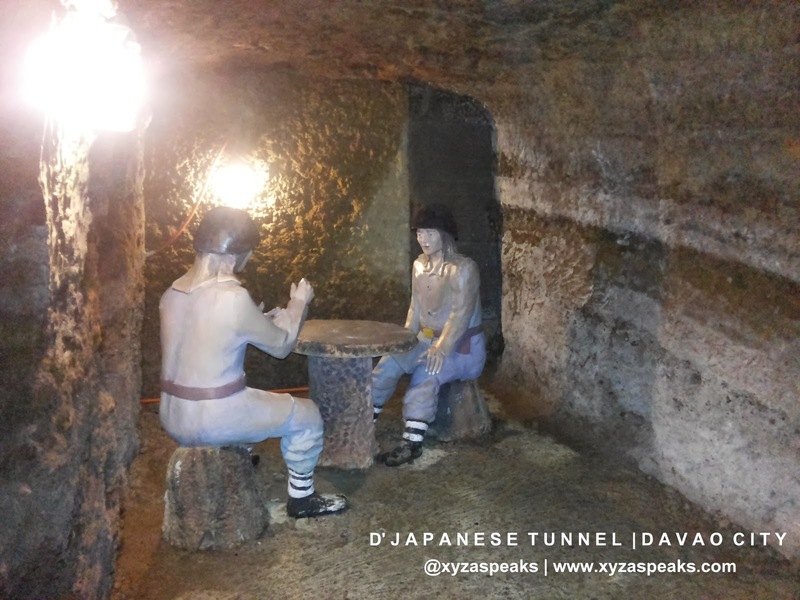 You will see original stone table and chair being used by the Japanese during their stay. 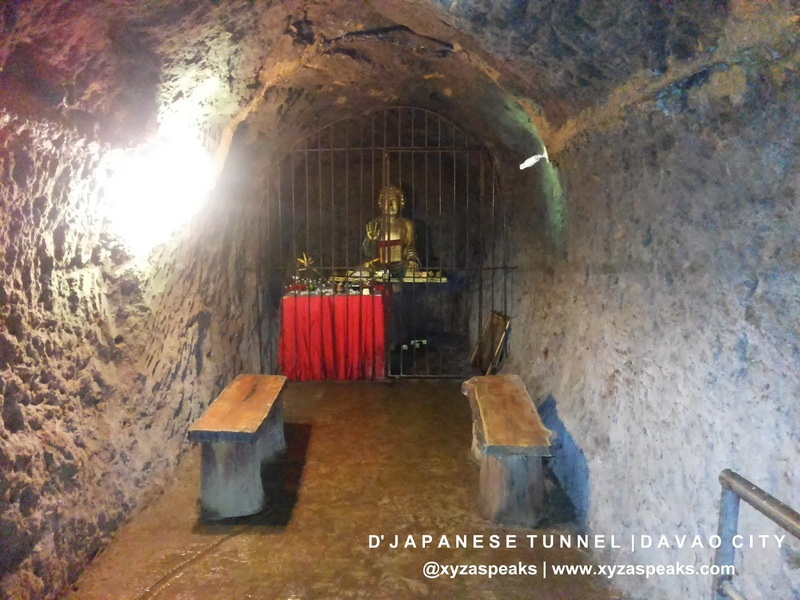 You will see a replica of the Golden Buddha and gold bars where they were originally found. 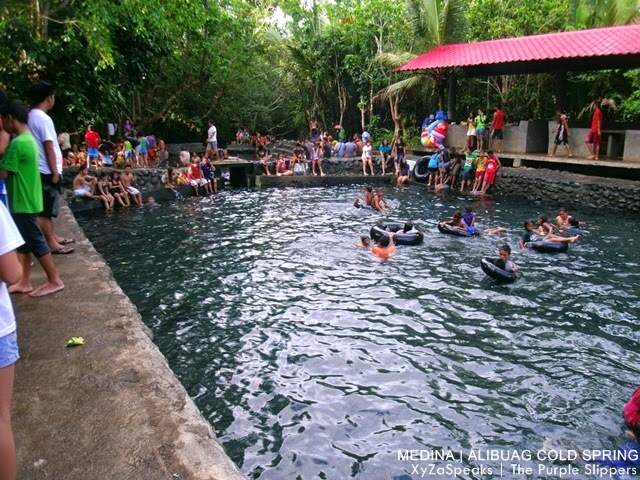 You will also see the water basin (no photo) where they get their drinking water before. It still has water now and it’s still flowing but it’s already contaminated, so you can no longer drink the water in it. 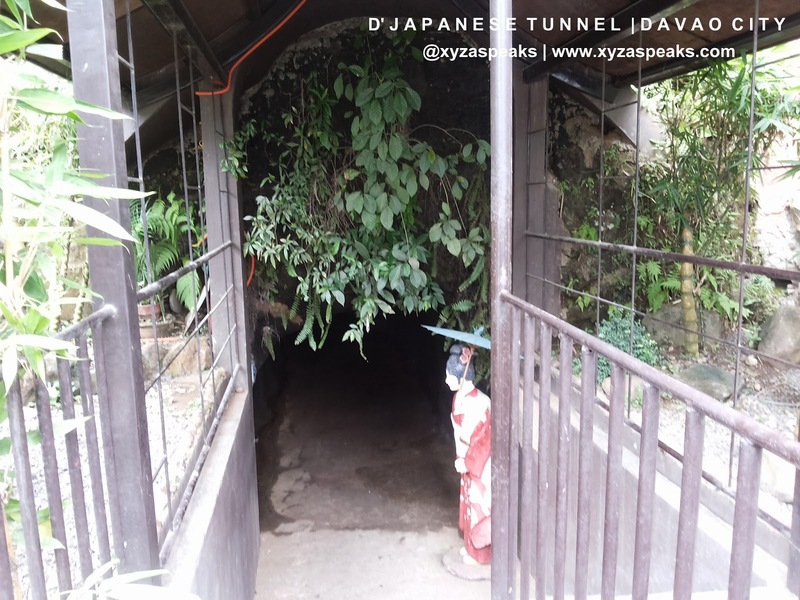 You will also see the original bartulina or prisoners den used by the Japanese. Our tour guide said that Japanese before place 10 americans or Filipino prisoners in that tiny place for days without food as punishment. By saying 10 persons, I couldn’t believe how can 10 people, Americans for example could fit in that tiny room? So we tried going in. And as you can see, there are only 4 people inside and it feels like hell already. Poor prisoners of war. 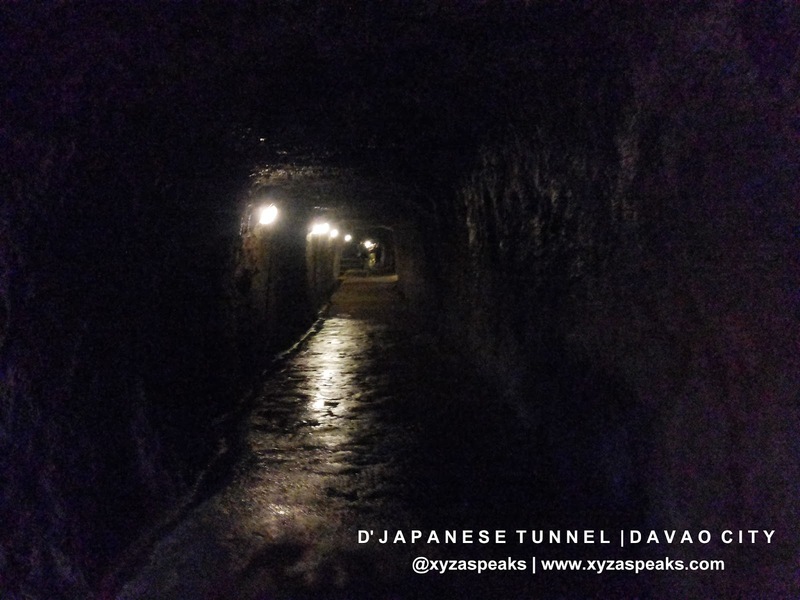 Few more steps and you'll see another chamber or another prison. And a few more steps marks the end of the tour. As mentioned earlier the tunnel is no cut short due to land developments and it's already owned by someone else.